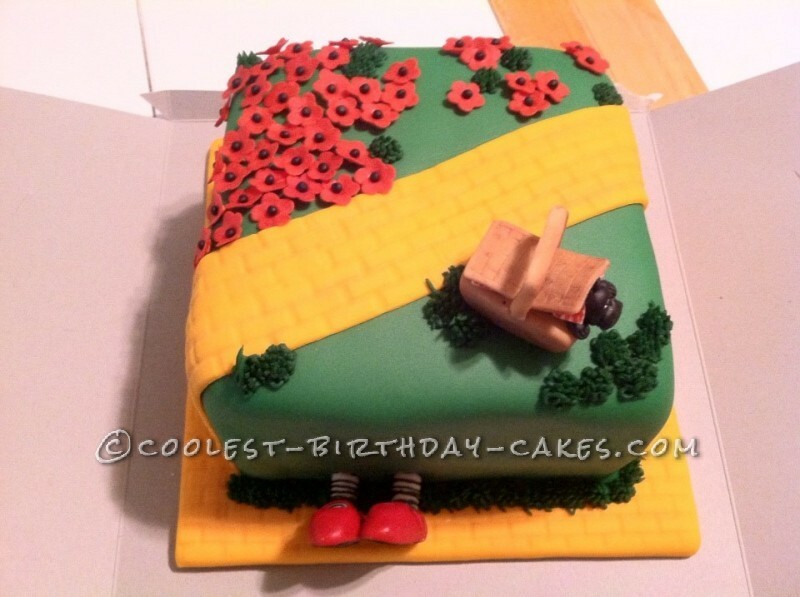 This Wizard Toto Yellow Brick Road birthday cake was for my mother’s 60th birthday. 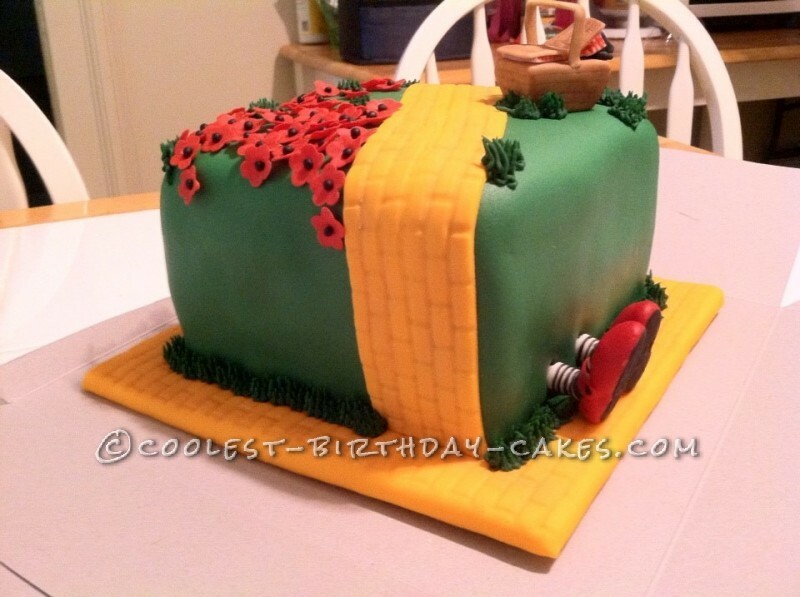 It shows the feet of the bad witch under the house, as well as the yellow brick road and Toto in his basket. Along with red flowers. 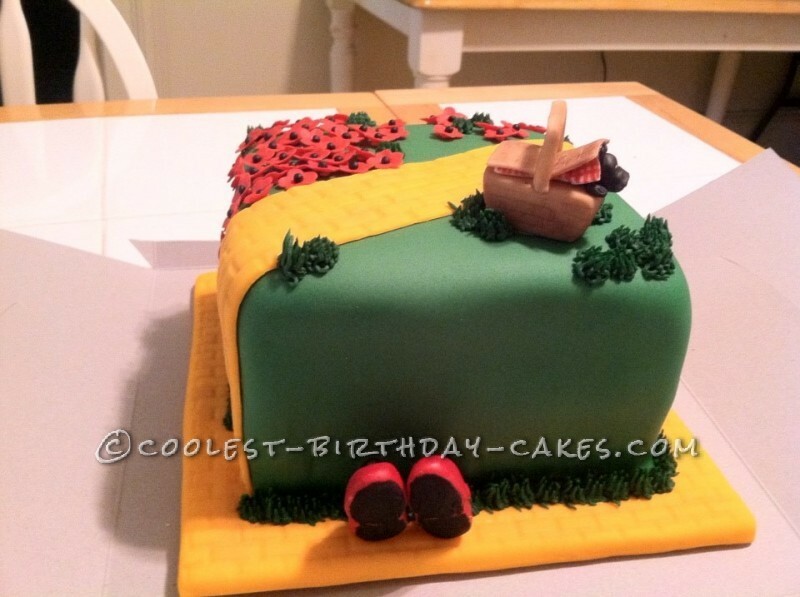 My mother’s favorite movie is The Wizard Of Oz, so on her 60th birthday I had to get this cake made for her. She was so surprised when she got this cake. She had never received a novelty cake in her life before. This cake came out so wonderful. It tasted delicious. 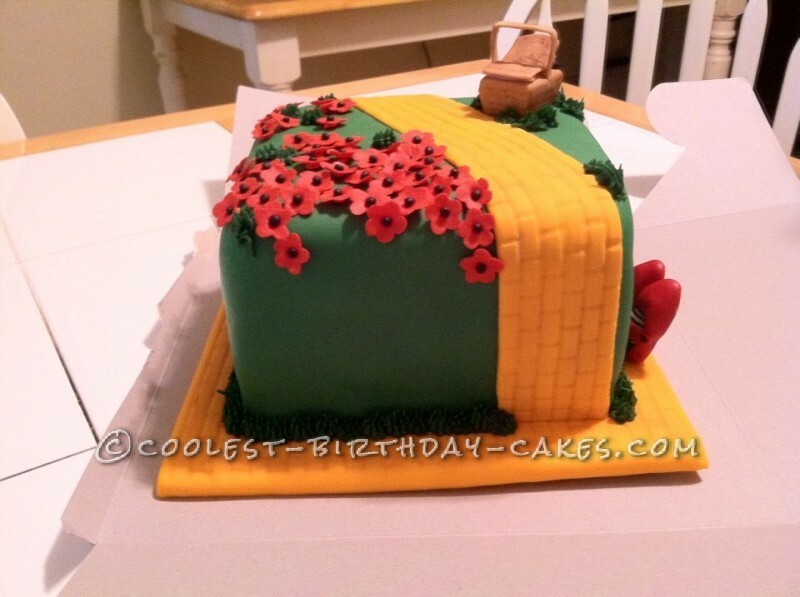 The lady that made this cake did such an awesome job. 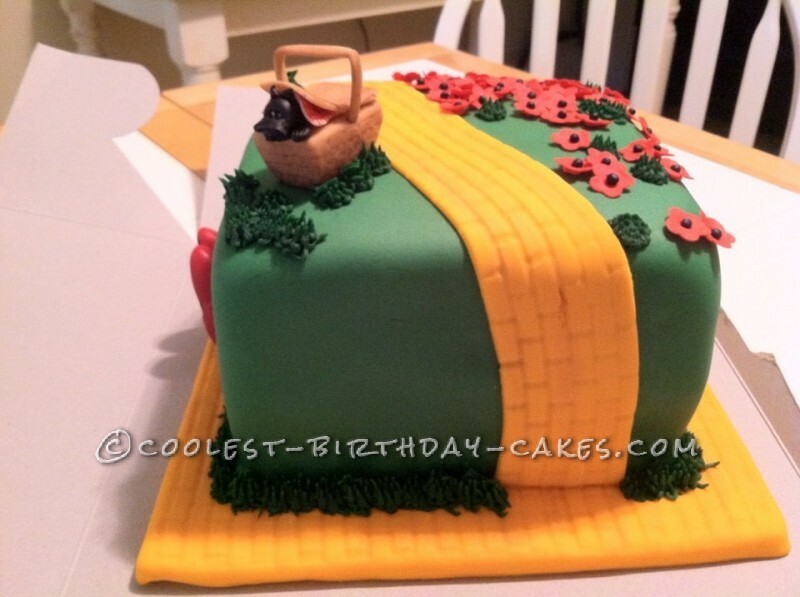 I will make sure and have her make future cakes for me as well. 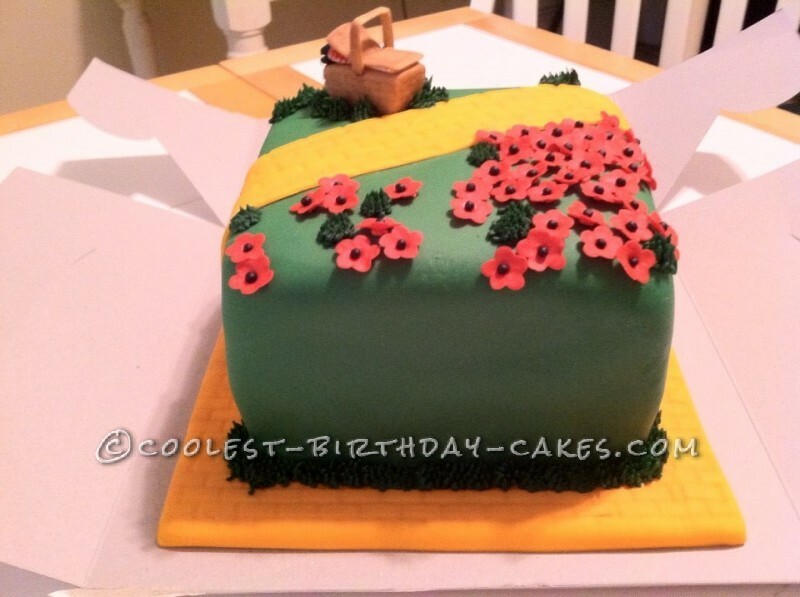 I hope everyone that sees the pictures of this cake will appreciate it as much as we did. I wish everyone could have seen and tasted this most beautiful cake. My mom said it was the most beautiful cake she had ever seen.